Have you ever wondered what is so fascinating about the Caribbean region that almost every sailor wants to spend some time there? Well, the answer is really simple. The weather is perfect for most of the year, the waters there are calm, and of course the islands have a lot to offer! And Puerto Rico, as one of the most popular destinations in that region, is an irrefutable proof that heaven on earth really exists. What to do in Puerto Rico? The island itself is 110 miles long and 35 miles wide and has nearly four million inhabitants. It’s probably best known for hundreds of beaches, but Puerto Rico may surprise you with the wide range of attractions that all tourists will certainly find interesting. As a matter of fact, many visitors complain that they haven’t got enough time to discover all of the island’s incredible sights. So, what are the must-see places in Puerto Rico that no one should omit? First of all, there is the Old San Juan with its Castillo de San Felipe del Morro – a landmark fort which hides some great history in its walls. Unfortunately, to get to the top of del Morro you have to be prepared for a lot of walking and climbing some steps. However, the view is worth the effort and you get the chance to experience more than four hundred years of Puerto Rico’s military history. If any tourist looks forward to the new breathtaking experiences, the Vieques Biobay will be the best choice. The kayak or pontoon boat journey to that incredible spot may be an unforgettable ride. The fragile ecosystem of the bay is formed by microscopic organisms that glow when anything agitates them. Also, anything that comes into contact with them becomes neon green, so you just need to dip your hand into water and you will experience that phenomenon of the nature on yourself. But those who appreciate the beauty of the untouched nature should also visit Puerto Rico’s rainforest called El Yunque. It is almost two-hour drive from San Juan but every tourist should visit that secluded place to take a walk in the forest, climb the mountain or just dive under the beautiful waterfall. Of course, there are also many attractions for the tourist who just want to rest and have some fun. Hundreds of lovely beaches encourage visitors to lay on the sun, swim, learn to surf or go snorkeling. What is more, Puerto Rico can also astonish you with its delicious local dishes and famous rum. Many bars, pubs and clubs are also a proof of a vibrant nightlife on that island. Chartering the boat is the easiest thing in that region, as there is a great number of companies which offer such services. You may choose between the large companies that are usually a safer choice, and those small ones which provides you with better client-company relationship. The climate in that region is very pleasant for the whole year, but while planning the trip you need to remember that hurricane season starts in June and lasts till November. What’s more, it’s also worth knowing that the northern mainland coastal plain has heavier rain. The most important ports in the Main Island are Fajardo, Mayaguez, Ponce, San Juan, Puerto Real and Salinas. 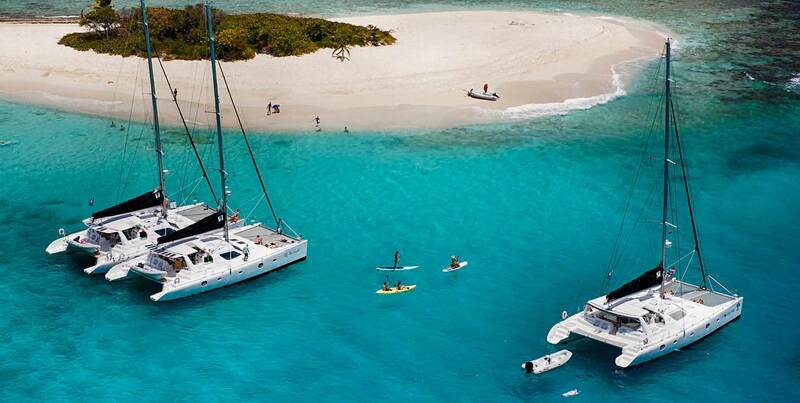 There are also two major ports on the Spanish Virgin Islands, which are Culebra and Vieques.